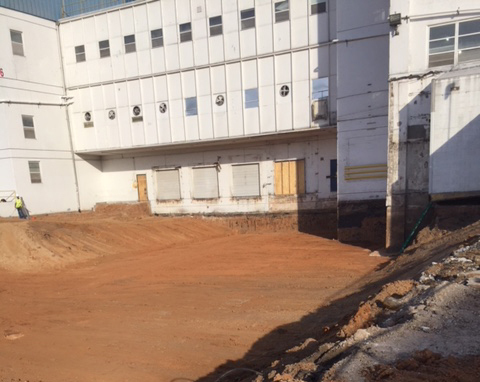 Whether you’re building a restaurant, shopping mall, apartment complex, or other commercial building, proper excavation is essential before any on-site work can begin. Excavation is the process of clearing the land, moving rocks, earth, trees, and other materials that could hinder the building process. It is an important first step in creating building foundations and roadways, and it requires precision equipment and the skill of a company that is experienced in handling the challenges of excavation work. At Gary Barnett Dirt Contracting, we provide complete excavation services throughout Oklahoma, making us a true one-stop for your commercial construction prep work. From surveying the ground and excavating to the right depth to stripping the topsoil and finish grade, we handle the process from start to finish. We own and properly maintain all of our excavation equipment, which means you can depend on us for prompt, efficient excavating work on projects of all sizes and scopes. As with all projects, safety is our priority, and we take all the necessary precautions to ensure a safe environment for our crews and yours. So, whether you need mass excavation, stabilization, or anything in between, you can depend on our outstanding team to get the job done! With more than 2 decades in business, you can be assured Gary Barnett Dirt Contracting is committed to delivering quality workmanship and friendly service on each and every excavation project. If you are preparing a commercial build in Oklahoma, give us a call! We appreciate the opportunity to discuss your excavation needs and provide you with a quote for our services.